Thai Yoga Massage on a table expands your business to a whole new clientele while helping to take even better care of your body.Performed on a low table with a fully clothed client, Thai Yoga Massage will allow you to reach out to a mainstream audience, including athletes, the elderly, and people who prefer massage on a table. 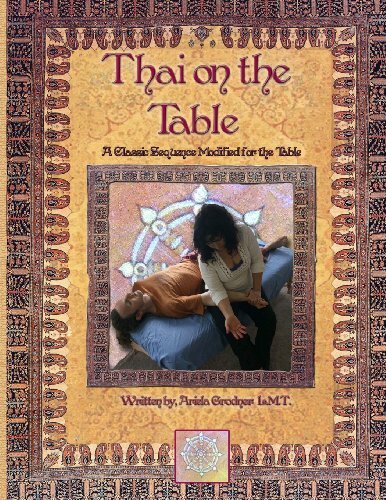 It brings the benefits of Thai Yoga Massage, including customized yoga, profound relaxation, and energy work, to the comfort of your massage table.Upon completion of this class, you will be able to* Give a 60-minute massage* Apply Thai Foot Reflexology * Practice principles of body alignment specifically adapted for massaging on and around the massage table* Integrate metta (compassion) and meditation into your massage* Learn the Techniques from Arielas Thai massage Classes.Therapists used to traditional table massage will reduce injuries to hands and wrists by learning to use elbows, forearms, feet, and other parts of the body. Those used to Thai Yoga Massage on a mat will find they can massage in greater comfort.